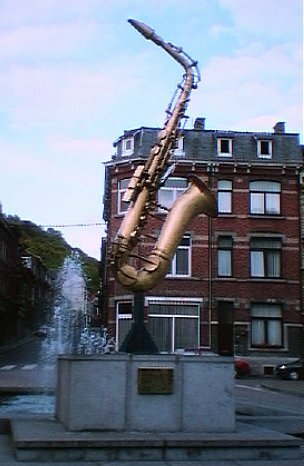 The monument to Adolphe Sax in Dinant, his home town. On top of the cliff is the Citadel of Dinant (flying the Belgian flag). 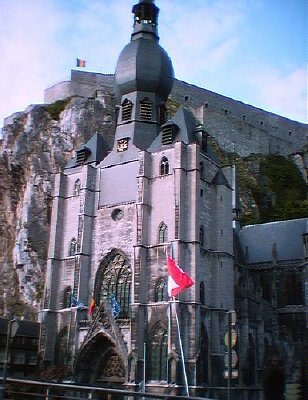 In the foreground is maybe the most noticeable landmark in Dinant: the homogenously gothic Collégiale Notre-Dame. The Meuse River might be said to be the life source of Dinant, a small city in the center of an area inhabited for at least 10,000 years! In 1864 a paleontologist named Dupont discovered two Cro-Magnon skulls, among other things, in nearby Furfooz. 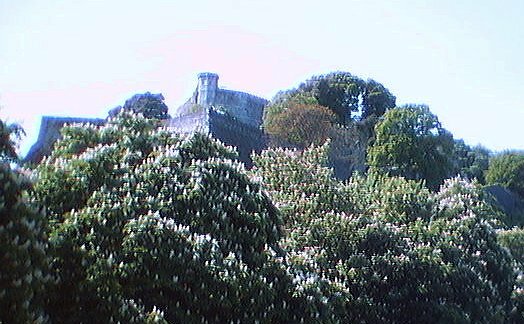 There is a history of fortifications and non-stop activity in this area throughout the ages. 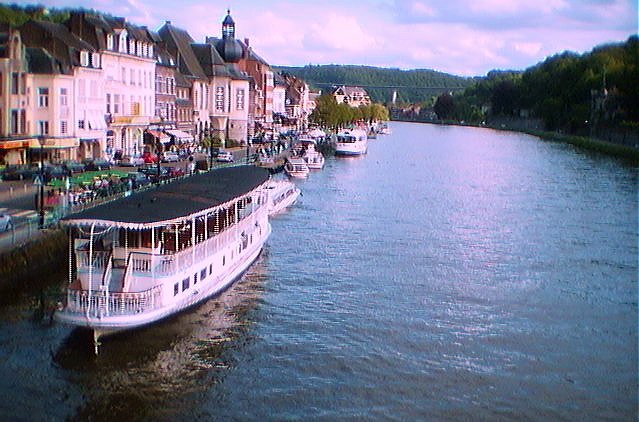 Namur, a few miles to the north of Dinant, is the point of confluence of the Meuse and Sambre Rivers and also the capital of the Région Wallonne. This is a view of the famus Citadel of Namur, seen from the Quai de Salzinnes on the Sambre. 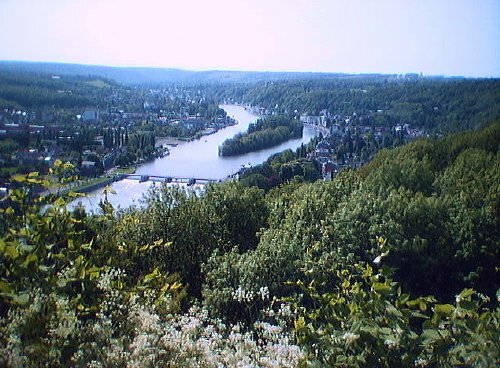 ...and this is a view from the Citadel of the Meuse River heading towards Dinant (south). Return to the JOURNAL page. Return to the WALLONIE page.